Fats and oils are an important component in most emulsions. Emulsions are the dispersion of a fat or oil into water (or vice versa). There are many emulsions in the culinary world including salad dressings, mayonnaise, gravies, and cheese sauces. Emulsifying fat into a liquid produces unique flavor and texture qualities. Fat has the unique ability to absorb and preserve flavors. Oils are often infused with herbs and spices for preservation. Fats also contain compounds that lend specific flavors of their own. The way fat coats the tongue and allows flavors to linger can also alter a flavor experience. The type of fat used in a product often determines the melting point of the final product. A melting point is a temperature at which a substance changes from a solid to a liquid. This characteristic is especially important for items like chocolate, frosting, and salad dressings. 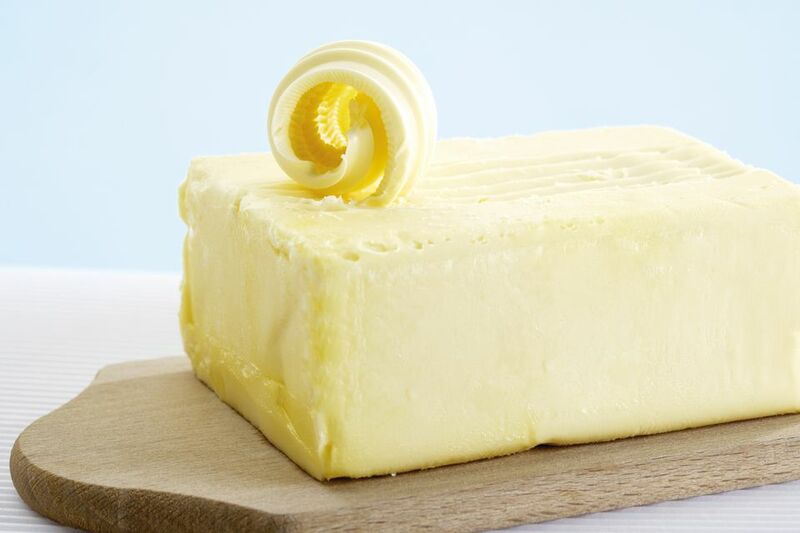 Saturated fats, like butter and lard, are solid and room temperature, which makes them perfect for using solid foods like chocolate and frosting. Vegetable oils are liquid at room temperature, which makes them perfect for use in products like salad dressings. The low melting point of vegetable oils allows salad dressings to stay in liquid form when refrigerated. Fats are the most calorie dense compound in food, weighing in at over twice the calories per gram of proteins or carbohydrates. While this may not be seen as an advantage in today’s modern society, the ability to provide energy dense food items is still necessary in many parts of the world. Fat is an effective method of delivering calories when needed. Fats are also important for delivering fat-soluble vitamins such as Vitamins A, E, D, and K.
Fats play an important role in making foods satisfying or making us feel full. Because fats take longer to digest than carbohydrates or proteins, high-fat foods stay in the stomach longer and delay the feeling of hunger. Shortening is not just the name of a solid, shelf stable fat but it is also the term used to describe fat’s ability to make baked goods tender by impeding the formation of gluten strands. Normally, as bread dough is kneaded the gluten (wheat protein) begins to join and form long elastic strands, which give strength and a chewy texture to the bread. When fat is added to the dough, like in biscuits and pie crusts, the fat gets in the way of the gluten formation, therefore keeping the final product tender and flakey. While fats and oils are not soluble in water, other chemical compounds are only soluble in fats. Many of these fat-soluble compounds are responsible for foods flavor and even vitamin content. Including fat in food allows for maximum flavor and a wider range of nutritional content. Fats and oils have a texture all their own but are also responsible for tenderizing baked goods via the shortening process (see above). Fat provides a very specific, lubricating mouthfeel, which is why most dry crackers or chips are served with high-fat content dips or spreads. Emulsions made with fat are responsible for the creamy texture of many items like ice cream, mayonnaise, and other sauces. Which of These 7 Oils Are the Right Fit for Your Dish?